10 yd (9.15) in diameter. Centre mark in centre. See also our Football/Soccer Ball Size Chart. 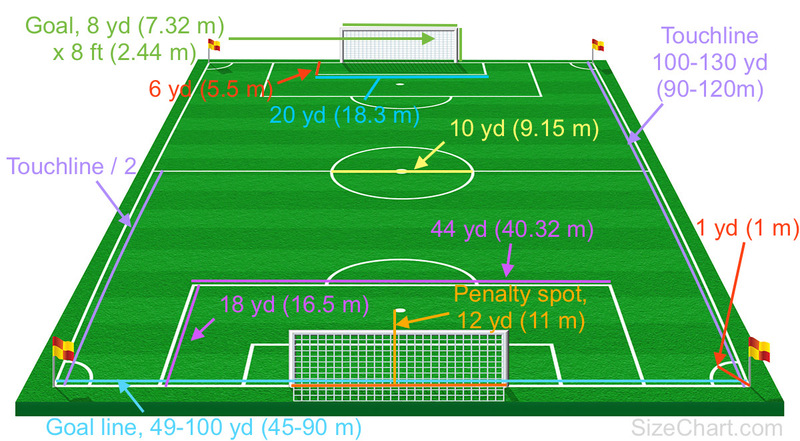 Tips, tricks or questions about football / soccer field size? Please post it below. Thanks!